Make a directory like /app/deps ,and put the XposedBridgeApi.jar in it. 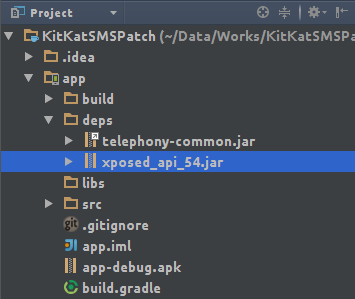 Click "Sync Project with Gradle Files" in Android Stuido. Error: You should type some Chinese word (like "你好") in your comment to pass the spam-check, thanks for your patience! Thanks for your report! Fixed.